Today, potential clients may begin to lose interest when you tell them that your main offering is print services. That's a reaction to the false impression that physical media outreach is fading from the scene. They don't want to strike up a partnership with a company that's not plugged into the future. To convince them to hear you out, you may have to make the link between printed products and modern, forward-looking marketing, the kind that won't go out of style next year – or in the next five years, for that matter. Luckily, some of the methods in your portfolio are as robust as ever, ready to impress companies that need new ways to reach their clients. Take today's example – direct mail. Just as social media has failed to kill email, email and every subsequent digital advance have not put direct mail into the past. Your clients can spread brand messages effectively via the postal service, and you can become a trusted marketing partner by providing these evergreen print products. Printing Impressions columnist Paul Bobnak recently mounted a spirited defense of mail-based marketing against those who would label it "junk mail." The fact is, there are many advantages to running a campaign through the post, and they may be what keeps the printing industry relevant. Bobnak explained that mail is becoming better targeted today, meaning that the era of blanketing an area in messages is passing. Instead, mail-outs will go to those who really want them, a fusing of digital marketing techniques and the old-school tactile appeal of letters and postcards. The author also specified that, rather than holding at its current level, direct mail could become better in the future. This isn't the expected trajectory for a physical marketing medium, and it has everything to do with the aforementioned marriage of IT and printing. Print service providers that become good data managers may find their mailings are as relevant as email campaigns, or more so. That's serious value for potential clients. Bobnak pointed to a Target Marketing overview of direct mail and noted that it's a thriving, $50 million industry. The Target Marketing piece delved deeper into the ways companies can improve their direct mailings to ensure they are appreciated by the recipients instead of written off as junk. Author Michael DiFranco suggested using novel shapes and sizes of pieces to make a campaign stand out visually. An endless parade of rectangular neutral-colored envelopes can be punctuated by bright and appealing mail-outs that demand a response. This is another area where the printing business can make itself valuable, by offering customers marketing products that distinguish them from the masses. If your print service provider can use coatings and materials to make its mailings feel unique to the touch, all the better. DiFranco noted that this tactile change is another way to make your clients' marketing messages irresistible. People will want to know more when they pick up a letter that feels different to the touch than everything else in the mailbox. Tactile effects such as these are one advantage that print will always hold over digital-only communications, as every email viewed through a computerized device has the same touch profile – the feel of the mouse, keyboard and screen never changes. 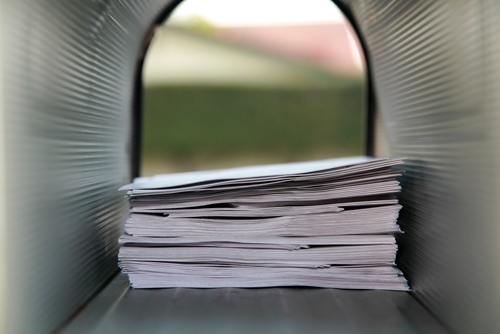 There are a few different ways to make connections after a consumer receives a piece of direct mail. This is another area where contemporary technology intersects with the very old-school world of print marketing. Business 2 Community contributor Sophia Wright explained that mail-outs should contain actionable ways for recipients to contact the business, either through phone or online. The connection to modern consumer IT comes when the website linked by the campaign is mobile-friendly. This means that consumers can go right from reading the print postcard to responding online, without even going to the computer. Then, once the recipients of the mailing have responded, you or your customer can track the data. This means you can track the response rate and ROI of the campaign with the latest analytics, despite carrying out the mailing through physical means. There is no need to throw out contemporary marketing and tracking techniques – you would be foolish to do so. Instead, you can fuse these methods to your physical offerings, giving clients multimedia messaging capabilities designed to get through to today's consumers. As long as the mail is a good – and even improving – channel for communicating with consumers, your print services will have value for clients. The next time someone implies that hiring a print provider isn't a priority, you'll have a compelling angle to take. Print is alive, and the postal service remains a direct line to today's customers. This doesn't mean it's time to toss out contemporary, data-driven marketing. Instead, join these ideas and look forward to the impressive returns.